Winner of the 2016 Gilmore Young Artist Award, Micah McLaurin is one of the outstanding pianists of his generation. 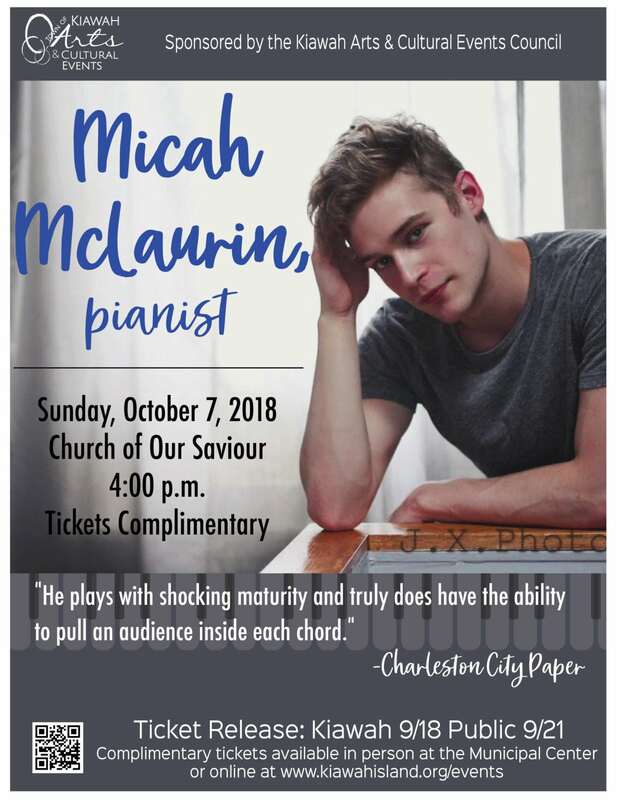 Micah has performed as a soloist with orchestras worldwide including the Cleveland Orchestra, Orquestra Filarmónica de Montevideo, Orquesta Juvenil de El Salvador, numerous times with the Charleston Symphony Orchestra, Hilton Head Symphony, South Carolina Philharmonic, Perugia Festival Orchestra, Virginia Symphony, Battle Creek Symphony, and Music Academy of the West’s Academy Orchestra. He is a laureate of many international competitions such as the Ettlingen International Competition for Young Pianists, the Music Academy of the West Concerto Competition, and the Thomas and Evon Cooper International Piano Competition among others. Micah has performed recitals and chamber music internationally in the Spoleto Festival, Music Fest Perugia, Southeastern Piano Festival, International Piano Series at the College of Charleston, the Miami Chopin Foundation, Gilmore Festival, and Les Jeudis du Piano in Geneva. He recently made his Paris recital debut to rave reviews in Les Pianissimes Festival. He is a two time participant at the prestigious Verbier Festival Academy, where he won the Tabor Piano Award in 2017. 2017-2018 Season highlights include engagements with the North Carolina Symphony, The Paderewski Festival of Raleigh, a debut with the Philadelphia Orchestra performing Bernstein’s Age of Anxiety, as well as a performance this summer performing Gershwin Concerto in F with the Philadelphia Orchestra at the Mann Center. Born in Charleston, SC, Micah studied privately with Marsha Gerber and Enrique Graf until the age of 18. He is now completing his studies in the bachelor program at the Curtis Institute of Music under Robert McDonald and Gary Graffman. This fall, Micah will begin a Masters of Piano Performance at Julliard.